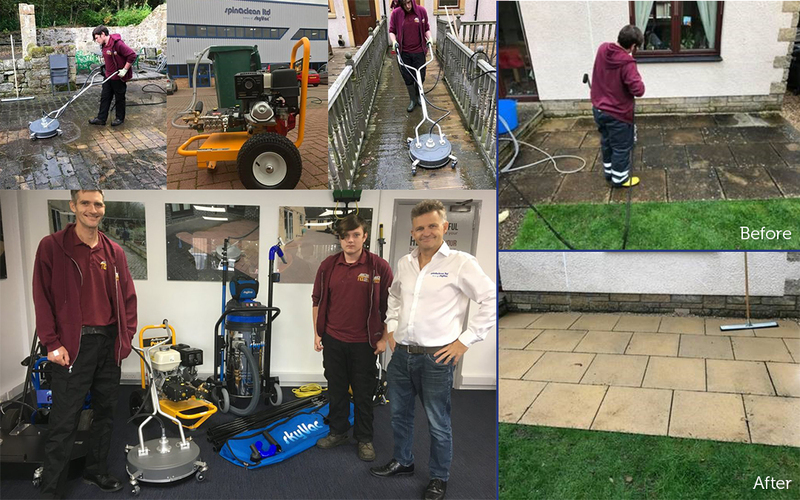 Gutters2Glory aims to give young people and ex-service men an opportunity to work and develop in the external cleaning industry, and with nothing but great progress, Steve Cooke has managed to lead Gutters2Glory from one achievement to the next. “I’d like to take the opportunity to thank Paul Crosbie and your magnificent staff for your continued help and support, your professionalism is second to none. You already know we are so blown away with the SkyVac that we are not just looking to buy our second one, but are purchasing our 2nd, 3rd and 4th ones in the next couple of months. We saw your YouTube video regarding the Pro20 and I suggested to Jamie Skinner who helped me create gutters2glory last year, that we visit you in Spinaclean HQ in Northampton, and were stunned at the warm family like reception we were given by everyone, your facilities are outstanding.